BTSA Steel Challenge matches are fun for young and old. These matches have a round count of approximately 250 rounds. A 22 RF handgun or rifle or larger handgun are used, be sure to bring at least 5 magazines or loaders. This discipline of shooting offers a port of entry to the pistol shooting sports and is an excellent starting place for young or beginner shooters. It also provides a ‘soft’ way for those who have begun to suffer the problems associated with aging to remain involved in the shooting sports. All this provides an alternative for those who might otherwise be lost to shooting. This competition is a level playing field for shooters of all backgrounds. 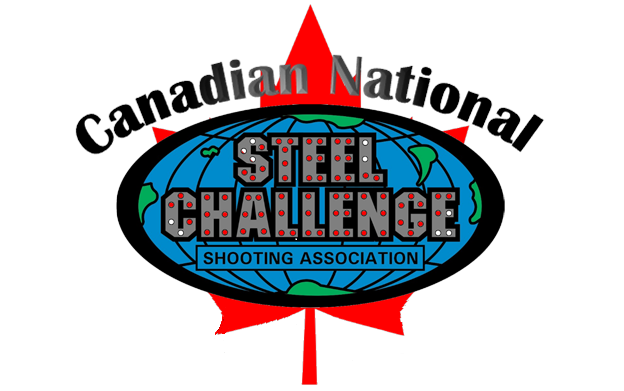 Regardless of your shooting background or skill level, all shooters walk away smiling after shooting Steel Challenge. Steel Challenge is shot mostly from a stationary position at five static steel plates per stage. Outer Limits is the only stage that has movement of about 3 meters between shooting boxes. Each competitor shoots seven stages five times, and add their best four times to become their stage score, Outer Limits has only four runs that are shot and the top three counted for the stage score. Competitors are scored based solely on the time it takes them to shoot each stage. The eight stages shot in the Steel Challenge match are Accelerator, Five to Go, Outer Limits, Pendulum, Roundabout, Showdown, Smoke & Hope and Speed Option. Each stage is unique in its design and offers a different challenge to the shooter. The last target that is shot is known as the “stop plate”, which stops the timer. Semi-automatic pistol or double action revolver. Center fire pistol calibers only, 9mm and up for the main and PCC matches. .22LR only is used in the rimfire matches. A holster that covers the trigger or a gun case. No holster is required for the 22 rimfire match. For PCC the carbine must be transported in a closed case or securely attached to a 3-gun cart. All rifles competing in the Rimfire Rifle and PCC matches MUST use a chamber flag regardless of transport mode. Hearing protection, muffs or plugs, and eye protection which are required to be worn by all competitors and spectators. A minimum of 25 rounds of ammunition per stage is required. The eight stage US Steel Shoot will require a minimum of 195 per gun used in the match. It is recommended you bring double the minimum requirement. This Steel Challenge match consists of eight stages. Seven stages consists of five strings except for Outer Limits which has four strings. Each stage has five plates. Four of the plates can be shot in any order. The fifth plate, known as the “Stop Plate”, will be the last plate engaged and stops the time of the string. If all four plates were hit before the “Stop Plate” is hit the total raw time is scored for that string. Each plate not hit before the “Stop Plate” is hit incurs a +3 second penalty per plate not hit that is added to the raw score. Failure to complete a string will result in a score of 30 seconds for that string. The four best times are used for scoring, except for Outer Limits where the best three times are used.